Preparation and carrying the ten essentials are vital to any outdoor trip. Map, compass and GPS make up my navigation kit. Still, the unplanned happens and the magnetic compass may be broken or left at home. Knowing a few common skills can make a difference. Secondly, dismiss the concept that deciduous trees (e.g., oaks, maples) develop significantly more vegetative structure on a southern exposure. Generally, one would expect more branch development and canopy on the southern side because of the amount of sunlight received. This is getting a lot of attention on the internet. 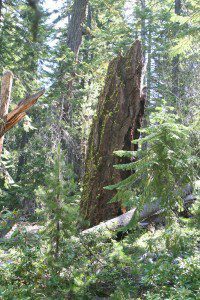 In the Pacific Northwest, the Forestry professors that I have discussed this with tell me not to depend on such an observation. 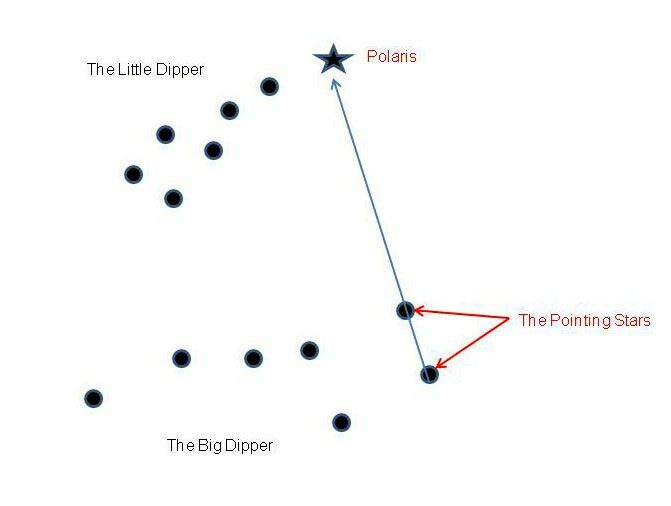 For the backcountry hiker, consider that Polaris is fixed in position over the northern pole. Unique from other celestial stars and planets, Polaris is very closely aligned to the earth’s axis. Stars and planets rotate around Polaris, and like the sun, rotation is from east to west through the sky. Polaris will be found approximately half way between the northern horizon and straight overhead. In the northern hemisphere, Polaris can found in our northern sky and is never more than 1° from true north – the North Pole. A clear sky without background glow from city lights is essential. Polaris is not the brightest star in the sky. Using the North Star when it is high above the horizon is a challenge. Most compass navigation deals with sighting objects fairly close to the horizon. For example; when orienting the topography map to true north, the map is held between waist and chest high and then observing what lies before you. In such a situation, you scan in front of you and compare visible terrain features to the map. Most of the time, the hiker is looking straight out, not 45° above the horizon. When pulling the true north bearing (from Polaris) “down from high in the sky”, it takes a bit of practice and patience to align the bearing to the horizon where it can be useful. A topographic map balances the methods discussed above. Once north is determined, orient the map to north and compare terrain features on the map with the actual contours and features on the ground. Identify topographic handrails such as rivers, trails, and dominant land features (e.g., mountain tops.) 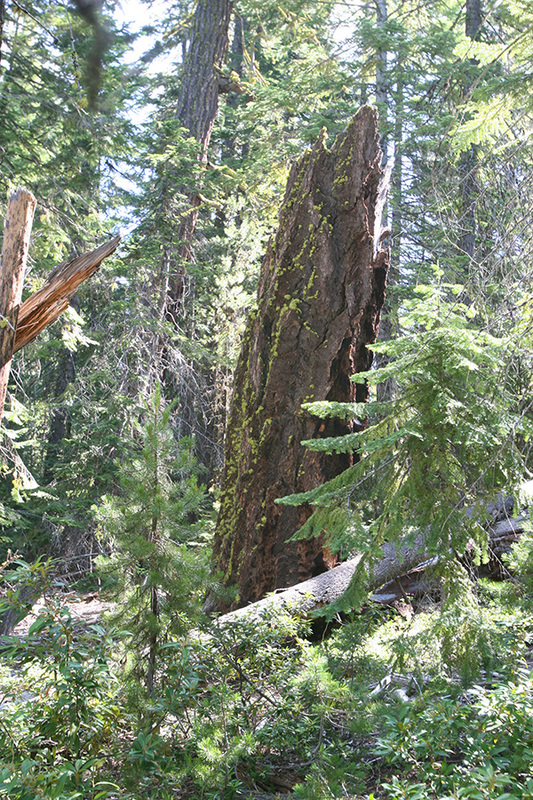 These features will help guide the hiker’s travel during the day. 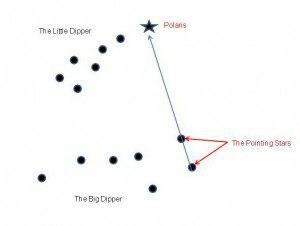 Using Polaris and the “stick compass” can, with practice, provide good directional information. In my opinion, using a watch to determine direction provides a trend of direction at best. Trend of direction would be where the hiker is heading in a generally northerly direction rather than a specific bearing. Blake Miller has made a career out of staying found and knowing where he is at all times. His formal navigation training began when he joined the U.S. Navy in 1973. He served as an officer aboard several Navy ships over his twenty-year career; many of those tours included the duty of Navigator. Blake began working with satellite navigation systems at sea in 1976, culminating with the then -new satellite positioning systems aboard the Battleship Wisconsin in early 1990. In 1998 Blake started Outdoor Quest, a business dedicated to back-country navigation and wilderness survival. Blake has taught classes to wild land firefighters, state agency staffs, Search and Rescue team members, hunters, hikers, skiers, fishermen and equestrians. He regularly teaches classes through the Community Education programs at Central Oregon (Bend) and Chemeketa (Salem, OR) Community Colleges.